It’s an absolute pleasure to host this guest recipe from the gorgeous, talented Hebe, a girl who has a strong and creative head on her shoulders. Her blog was actually one of the first ones I came across as I started to get more into clean eating, protein baking a few months back and I’ve always been impressed and inspired by her mouthwatering creations. Without further ado, read on to find out how to make these incredible looking, foodgasmic Pistachio & White Choc Chip Protein Cookies – I already can’t wait to get trying them myself! 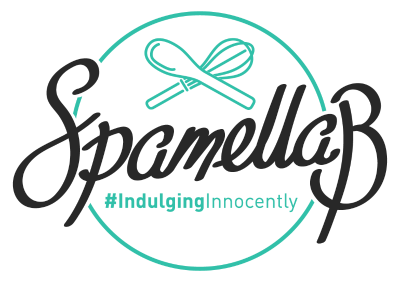 I was delighted when Pamela, or SpammyB as she’s known, (how cute is that name?!) agreed to do a guest blog post each. It’s something I’ve wanted to do for a while but have never plucked up the courage to ask! But as Pamela pointed out herself – if you don’t ask, you don’t get! And I’m so glad I did ask because, did you see the Spiced Carrot Protein Cake she did as her guest post for me?! It looks amazing – the girl is a culinary whiz. Regardless of her cheffing skills, she’s such a lovely girl – a truly outstanding personality and outlook on life, one that I fully admire for more reasons than I’ll mention. She’s got that balance down to a T! 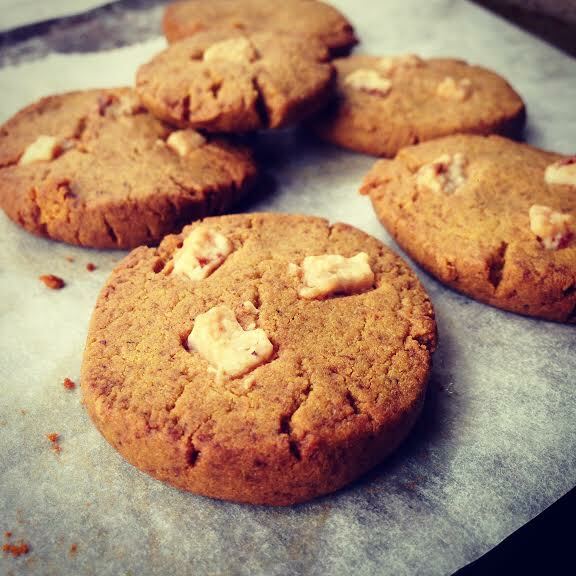 So, in return for that cracking looking cake she whipped up, here is a recipe for Pistachio and White Chocolate Protein Cookies. These little rounds of yumminess just melt in your mouth. Still keeping the delicate taste of the pistachio butter, I found these just as addictive as the nut butter itself! Gluten, grain and sugar free these come in a lot lower in carbs than your average cookie, plus a nice little protein hit! This recipe does make a small batch (self control issues! ), so feel free to double or triple (or even quadruple) the recipe as you wish. 1) Preheat the oven to 170C. 2) In a mini food processor, add the pistachio butter and process until it turns into a runny butter. 3) Add the whey, almond flour, baking powder and salt. Blitz until combined, scraping down the sides if necessary. It may take a couple of minutes and scrapings! 4) Add the greek yoghurt and process. This should change the texture of the mix. 5) With your hands, squish together the mix into a dough and roll into a log shape. Using scissors, cut into 5 rounds and place on a baking tray lined with greaseproof paper. Press down into the thickness you want – mine were about 0.75cm thick. Press in chunks of the white chocolate. 6) Place in the fridge for 10 minutes, then pop into the oven and bake for 15 minutes. Allow to cool on the baking tray. Enjoy! Make sure you follow Hebe on Twitter @heebs_b and Instagram @healthyhappyheebs for more awesome foodie inspiration!